The RT850T Solid State Relay is designed to control a line voltage resistive load from a 24 V control signal or dry contact. With its unique thermal bridge design, the RT850T allows for efficient heat dissipation and also features an LED indicator for visual confirmation of product switching. 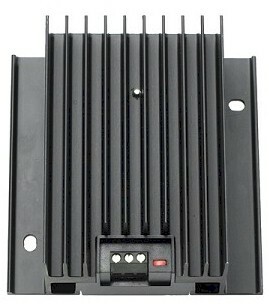 This electronic switching relay provides fast commuting operation; when the RT850T is combined with a short-cycled thermostat (15 seconds), it provides more precise temperature control. The RT850T has a built-in 24 V transformer and is compatible with 3-wire (R,C,W) thermostats as well as 2-wire mechanical and battery-operated thermostats.